The Wanderer's Journal: I Have Brother Complex, So What? I Have Brother Complex, So What? If people had ever asked me, when was my first love? 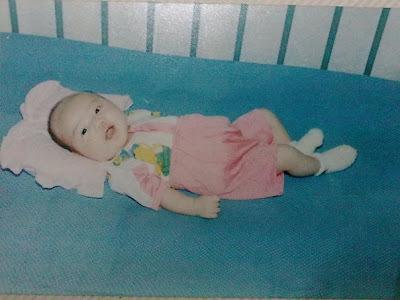 I'd say, when I was exactly 5 years and 1 month old. I'd say, with my baby brother. My younger sister and close friends often said that I suffer from Brother Complex, but I always feel that there's nothing wrong with it. It's just love and affection. I felt love for the first time when my parents introduced me to the latest addition to our family nearly 21 years ago. Only when my brother came into my world, I then realized, "So... This is how it feels to love a person other than myself". I remember my parents brought home my new baby brother from the hospital with my Dad's blue Suzuki Carry car. When I first landed my eyes on the delicate tot my Mom held, I just fell in love with the cute little angel wrapped in a sky blue knitted jacket. My brother did not look scary as other newborns do. He was not that pink and tiny. In fact, my Mom told me he was the biggest baby in the hospital that time, he weighed 4.2 kgs. My Dad named him Juan after a Mexican boxer called Juan Polo Perez, who just won a match when my brother was born. Little Lidya and Little Juan. My brother had full big sister protection from me until he grew up as a young man. I shared a room with my brother until it was my time to leave my hometown. I tried to pay close attention on every little thing that happened to him when he was younger. I laughed at his naughtiness and jokes. I felt sad and comforted him when he got scolded by my Dad. I was very much concerned with his problems from his teachers in school. I shared my big sister advice for hours with him before bed time. I accompanied him when he played his Play Station in the living room. I was his chosen and loyal challenger when he needed an opponent in his PS games. I was his private tutor for his most hateful accounting exams or other school projects. We watched Sunday morning cartoons together. I introduced him to my favorite hobby as a child: reading. We read comics together. We discussed about books. We hunted books at our favorite bookstore and books rental shop together. We collected comics together. I showed him my favorite encyclopedias in my school library and always did my story telling about Sea Monsters to him afterward. I was his this and that. March 2003: Favorite object for my then new Samsung digital camera. 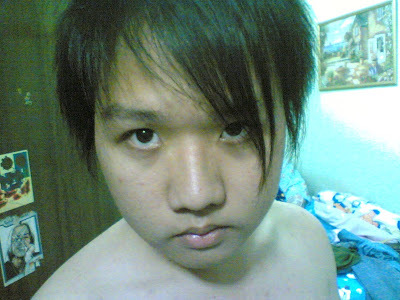 July 2005: Chubby boy with his dearest smelly bolsters. August 2005: Before I left him for the Netherlands. August 2006: After I came back from the Netherlands. December 2008: Sometime after I lived in Singapore. 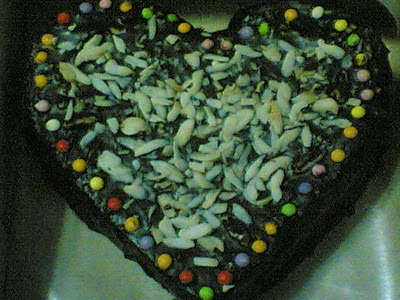 I even baked birthday cake for his then girlfriend until 2am. Lucky it was successful! December 2009: Juan's latest L-Men bod. December 2009: Juan and I finally reunited. My two harbors of love: Do they look alike? After I lived apart from my family and in particular, Juan, albeit we do keep contact via phone and internet, my relationship with him just changed. 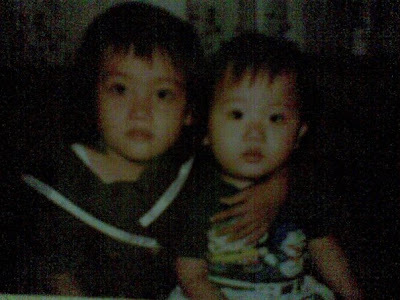 It is simply hard to maintain what we had in our early years as siblings. I have missed a lot of his developments. I could not be there in many of his important occasions or daily happenings. I could not give him direct assistance when he needs me. He lives his own life. I have my own busy life. We don't share that much anymore. He doesn't ask for my help that often anymore. What I feel remain the same to date from him are his manly thoughts, typical jokes and critics. Oh God, how I miss the 'Big Sister-Baby Brother' bonding I once had with Juan! I miss my baby brother. I have a little half-brother who is currently six years old, getting seven this year. Because my parents are divorced, and because I lived with my mother in Spain and he with his mother and out father in England, we never had a lot of interaction between each other, and only saw each other once a year. However, because of my seldom visits, they were precious to my little brother who, despite the little interaction he's had with me in comparison to our older brother (who lived with them at that time), sees me as his idol. He is cheeky and tries to have an opinion on everything, like I used to be when I was younger and he copies me because I am his older sister and in his eyes, whatever I do must be correct because I am his older sister. 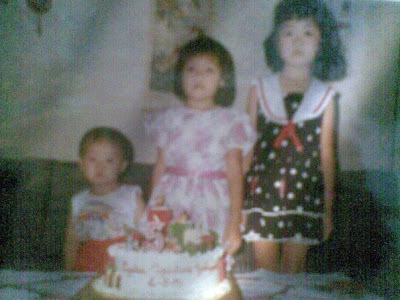 I was lucky enough in life to be granted two brothers, one older and one younger, so I know what it is like to be a younger sibling and the pure adoration that I felt (and still feel) towards my older brother, who had always been a faithful and loyal friend to me. I moved to England just last year, and now I see him every few weeks. He is always excited to see me, and although I can never visit him when he has homework to do or anything of the sorts, he comes at least once into my bed in the morning every time I come visit to snuggle with me. I appreciate it so much since I know how boring it can be when your a big ball of energy like him (I used to be like that, too). So what I'm trying to say is, yeah, you'll miss a lot of his day to day interactions and you'll miss a lot of things about him, but for him, you will always, always be that older sister who supported and loved him unconditionally and who watched cartoons with him. And yeah, it will hurt that the relationship isn't the same, but you'll always have those memories of your baby brother that nobody can take away from you. Girlfriends may come and go, and he'll probably marry someday, but he knows that there'll always be a constant in his life: you. So don't be depressed about it, but rather think about the things ahead and what else you can discover about your younger brother.